Student group travel is all about creating and preserving once-in-a-lifetime experiences, and there’s no way better way to do that than utilizing the Group Travel Video app available as an add on to any Director’s Choice Trip. Whether you’re looking to capture memories or to virtually tag along with a traveling group, here are just a few reasons to consider adding the Group Travel Video Program as an enhancement to your trip. Hear from our contributor Rachel Horvitz, Hill Country Middle School Orchestra Director and Midwest Clinic veteran, about what its like to be a contributing part of The Midwest Clinic's incredible history. Is your Travel Provider Travel Safe Certified? Keeping students safe is our number one priority. 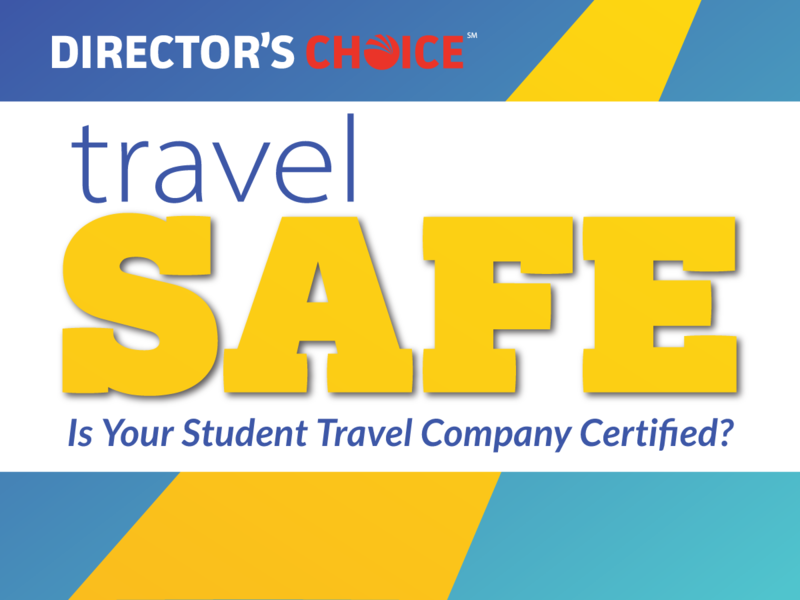 That’s why Director’s Choice has taken the initiative and formally adopted safe industry standards as well as developing our own rigorous TRAVEL SAFE certifications. Ethical Practices or Just Profit? When Director’s Choice was founded in 1996, I was still an active music educator in the classroom at a high school in West Texas. My focus was on helping my students individually, as ensembles, and making the overall program better from one day to the next. I believed numerous performance opportunities and traveling as a group was vital to the overall advancement of the entire program. With our world getting increasingly smaller with technology and a voracious appetite for experiences out of their communities, students and families today demand to travel, learn, and perform abroad. 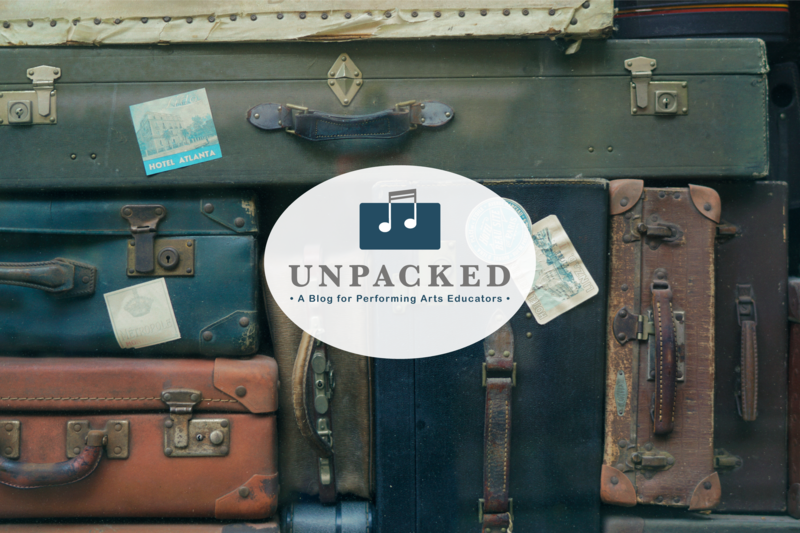 Student travel is transformational, and we can prove it. A recent study by the Student Youth Travel Association (SYTA) gathered quantitative data from a representative sample of U.S. teachers for a reliable measurement of the social impact of domestic and international trips. The findings tell us that the travel experience of students triggers a process of accelerated personal development, contributes to better academic performance and improves social interaction between young people. It's a celebration more than a century old – a festival of flowers, music and sports unequaled anywhere else in the world. 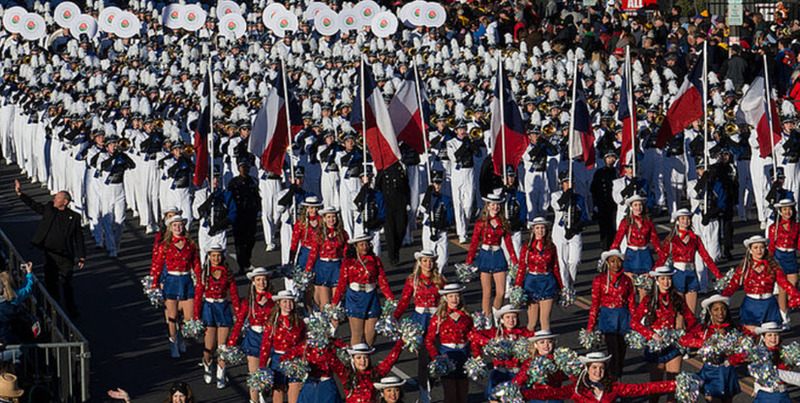 It's America's New Year Celebration, a greeting to the world on the first day of the year, and a salute to the community spirit and love of pageantry that have thrived in Pasadena for more than 100 years.